Romain Grosjean has revealed he’d consider joining McLaren’s Fernando Alonso on the grid at this year’s 24 Hours of Le Mans. The Haas driver confirmed in an interview with RACER that he’d like to enter the 24-hour race in July if the right opportunity came up, and is also interested in racing in NASCAR this year. One potential sticking point for Grosjean is the schedule. 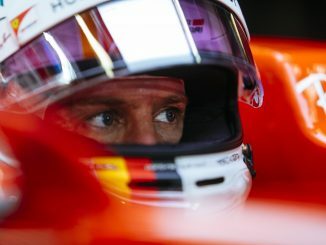 With Le Mans falling the week after the F1 triple header and the week before the German Grand Prix, Grosjean would have to race five weekends in a row. 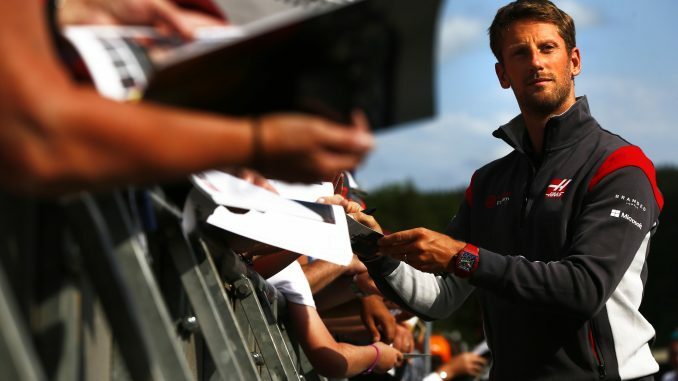 Grosjean is also planning to take part in a triathlon this year, but revealed his wife won’t let him do the triathlon if he adds another race to his schedule! Getting a drive in NASCAR probably wouldn’t be a problem for Grosjean – Haas has a team that competes in that series as well. However, he’d need to arrange a drive with another team for Le Mans. Manor Racing are entering two cars in LMP1 and are yet to reveal their full driver lineup as are SMP Racing, so there are spaces available. 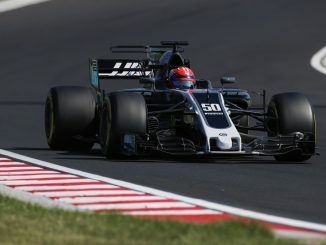 Grosjean admits he hasn’t asked Haas if they’d allow him to take part in the race, and concedes the F1 team might not let him due to the number of races taking place in June and July. Grosjean’s Haas teammate Kevin Magnussen recently revealed he almost secured a spot in the 24 Hours of Daytona, but the deal fell through late on, which suggests Haas would be open to letting Grosjean drive for another team, but the timing could be problematic. If he gets the chance to drive in NASCAR, Grosjean knows he’d need to test a car beforehand, and wouldn’t want to race on an oval, limiting him to the races at Sonoma and Watkins Glen. 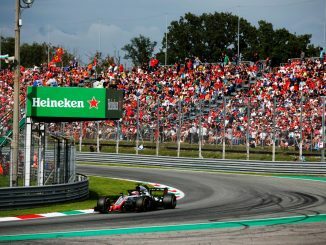 As the Sonoma event clashes with the French Grand Prix, Watkins Glen on August 5th would be a good option, as that falls during F1’s summer break, and Grosjean says he’d be “super happy” to get the opportunity. Unlike Alonso, the Frenchman has some experience of Le Mans, having previously competed in the race in the GT1 class in 2010 with the Matech Competition team, but the car failed to finish the race. That was also at a time when Grosjean didn’t have a full-time drive in F1. However, the last driver to race at Le Mans with an F1 seat – Nico Hulkenberg – went on to win the race with Porsche in 2015.